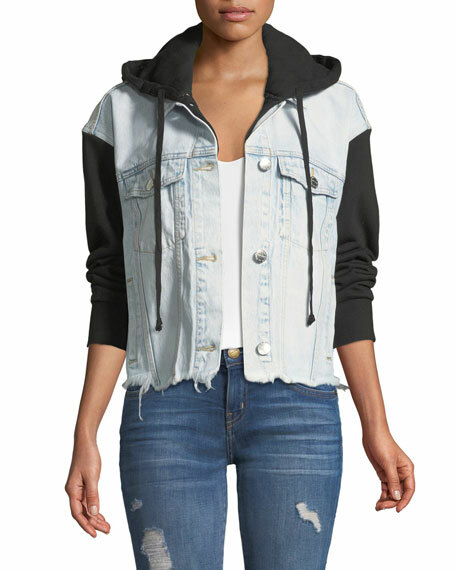 Current/Elliott "The Celyn" hooded denim jacket with frayed hem. 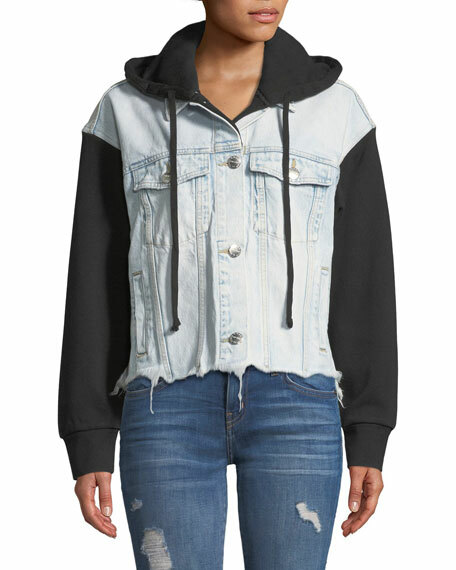 For in-store inquiries, use sku #2533652. 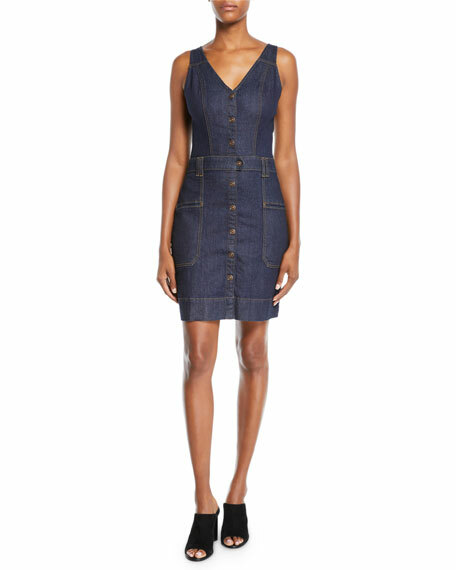 7 For All Mankind utility-style denim dress with contrast stitching. V neckline; button front. Sleeveless. Belt loops at waist. 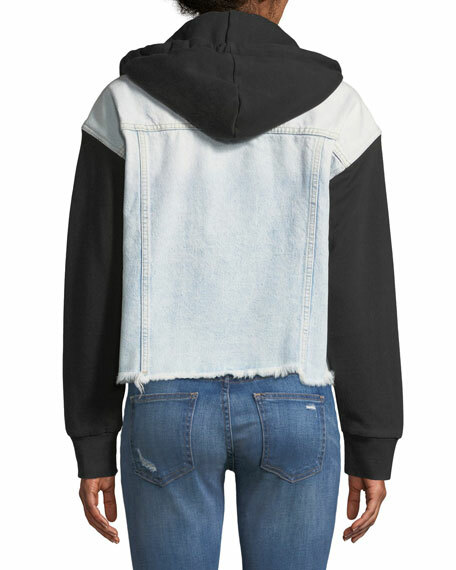 Front pockets; back patch pockets. A-line silhouette. Hem hits above the knee. Vented back. Cotton/spandex. Imported. 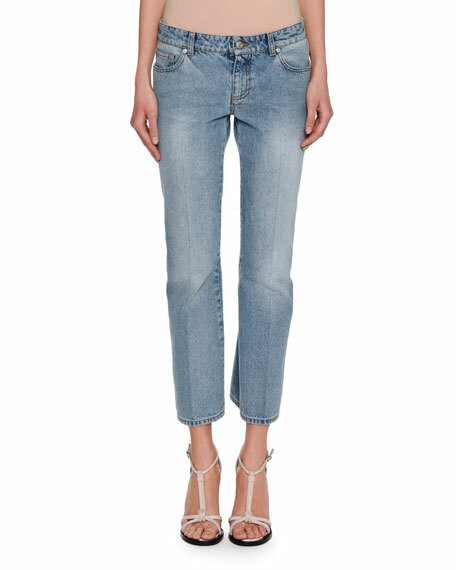 Alexander McQueen denim kickback jeans. Five-pocket style. Low-slung waist. Fitted legs. Cropped hems. Button/zip front; belt loops. Cotton. Made in Italy. 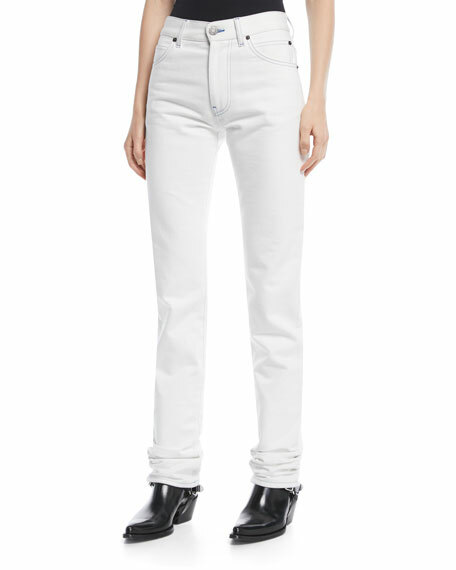 Calvin Klein 205W39NYC denim pants with contrast stitching. 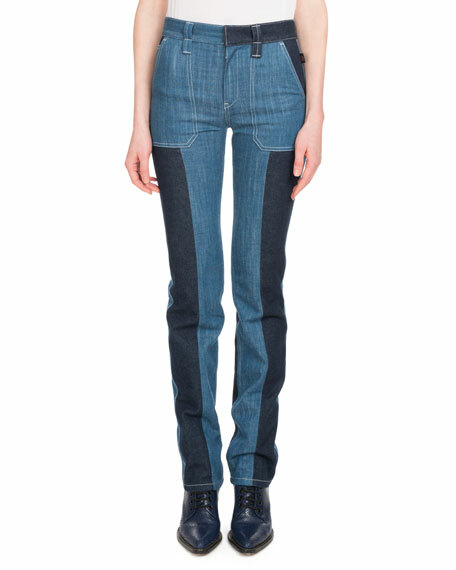 Mid-rise; belt loops. Button-zip fly. Five-pocket style. Slim fit; straight legs. Cotton. Made in Italy.